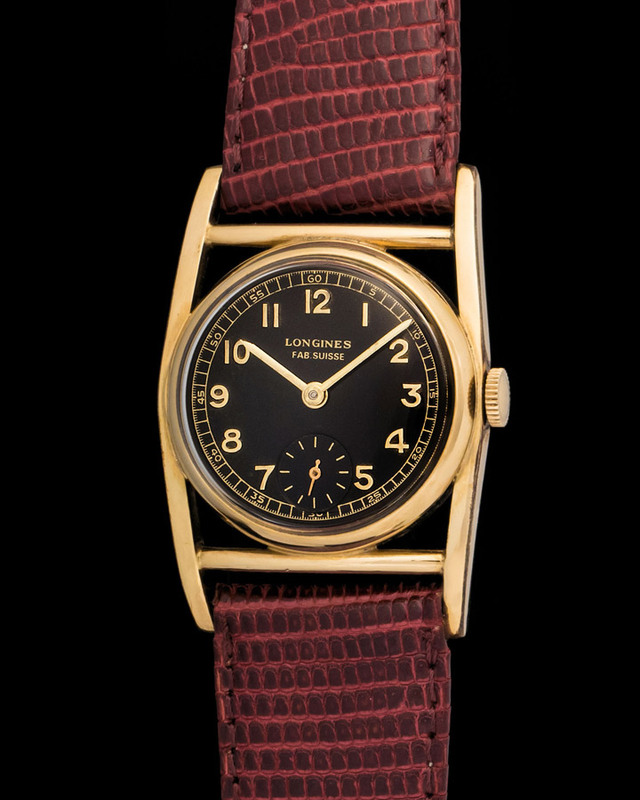 This is an incredibly appealing Longines from the 1940’s. Its 30mm 10k plated gold case is oddly shaped, which gives the watch a rather cool look. The most interesting aspect about this Longines is its gilt dial and large numerals. The lettering on the dial “Fab. Suisse” probably means the watch was originally sold in France, as that country had a very strict import policy for luxury items. The policy applied mainly to all suisse brands .